Ah...life on the carnival brings with it the many joy's and delights of being a showman. Here we see a young gentleman who's obviously thoroughly enjoying himself, trying drain excess water off the muddy lot with a mechanical pump so the show can open ( rubber boots are so chic ). 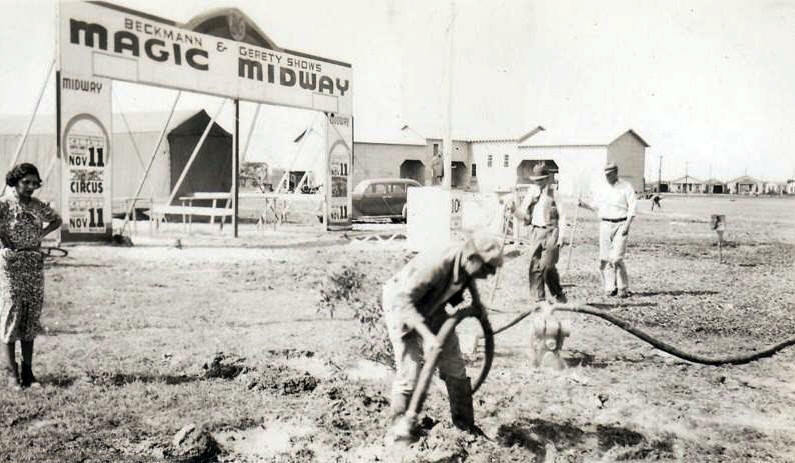 The show is the Beckman & Gerety Show playing Corpus Christi Texas in the fall of 1937 but it could just as easily be a photo of a lot on almost any midway in America in 2015. Some things NEVER change.